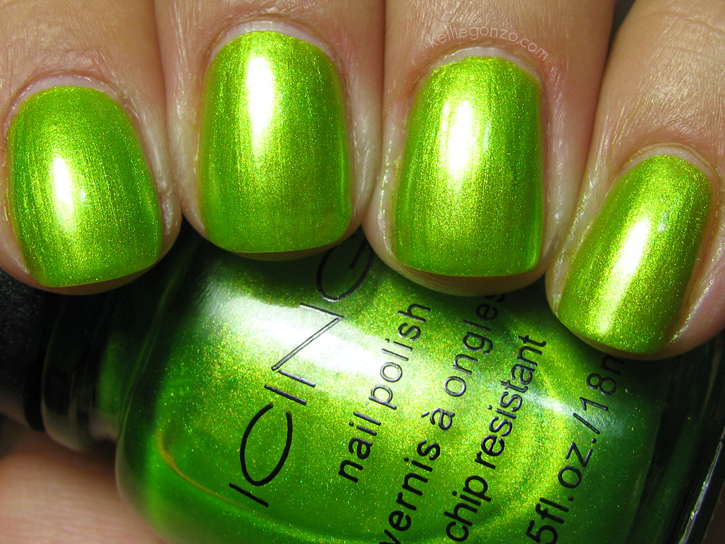 OMG y'all, I think this polish has curbed my craving for a super HTF lemming! 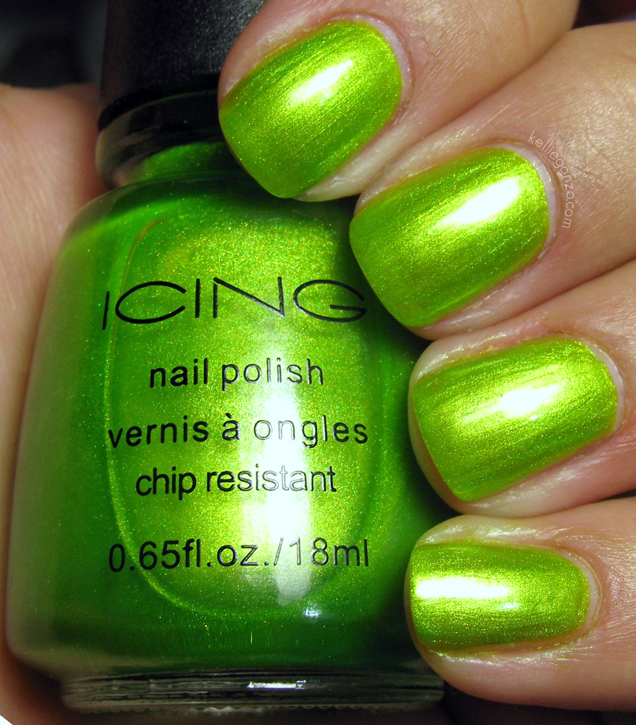 Icing Absinthe, could you be a dupe for *gasp* China Glaze Moonpool?! Well, no, this is way more neon. But it comes close enough, and dare I say it might be prettier! Y'know, it's really like a cross between Moonpool and another ChG hard to find, Limonyte. Whatever it is, I like it. You can get Icing polishes at their stores for $4.50, and they have a "forever" sale of buy one cosmetic item get one half off. The brush on this was too thick and fat. It needs to go on a diet. I got some staining on my cuticles from just swatching this (mostly from the fatty brush), so you'll need at least two coats of a good base or you'll get alien fingers.